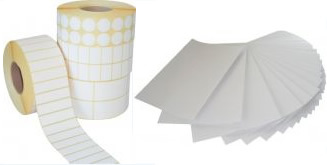 No matter how many adhesive labels you need, or what size you need them, Sticky will deliver quickly. Give us your specs and we'll advise you what'll work best for your particular labels. We then print and deliver them to you within 5 days of approval. Need labels ASAP? Give us a call on 09 262 3942. We can quickly ship standard blank labels or create custom sizes and shapes. Fully compliant and ready to ship, Sticky stock a range of Hazard Labels including flammable liquids, biohazard labels and everything inbetween. Also shop online for a full range of handling labels, visitor and my name is labels as well as other generic sticker labels. 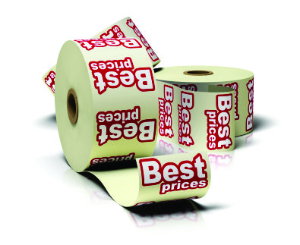 If you own a label printer save time and money by using quality thermal transfer ribbons. 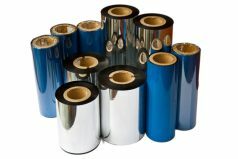 Designed to deliver accurate, high speed printing at a low temperature, these thermal ribbons lengthen the life of your print head while reducing your print time. These are the same ribbons we use when printing labels so they have been thouroughly tested and are guaranteed to print well. Custom Sticky Labels allow us to quickly and accurately identify equipment at our worksites. Sticky efficiently designed labels that professionally promote our brand and are of significantly lower cost than generic industrial labels. Service from Sticky is always fast and friendly.